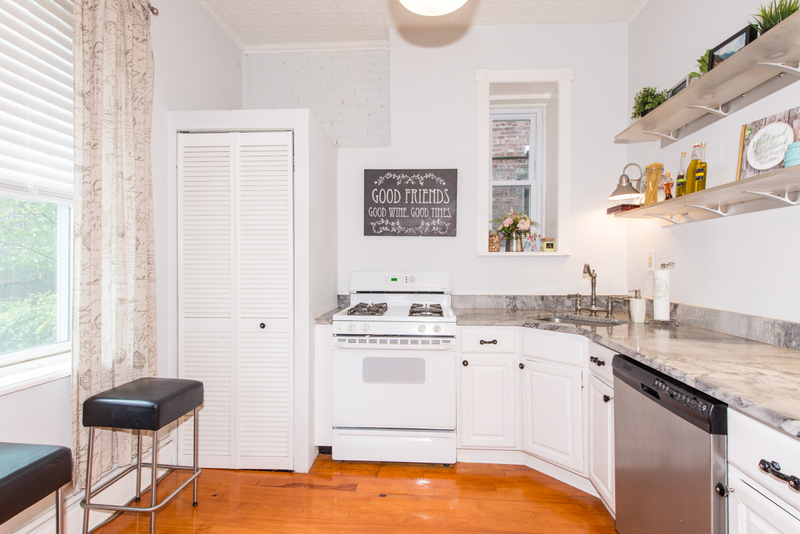 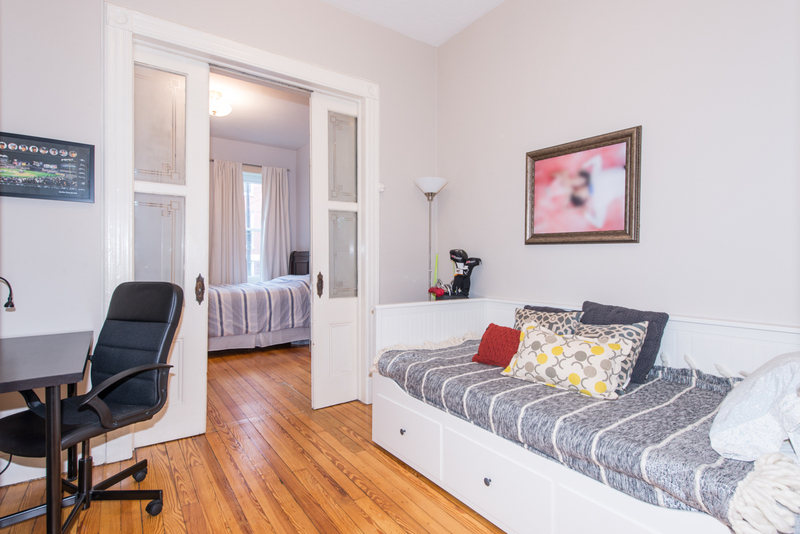 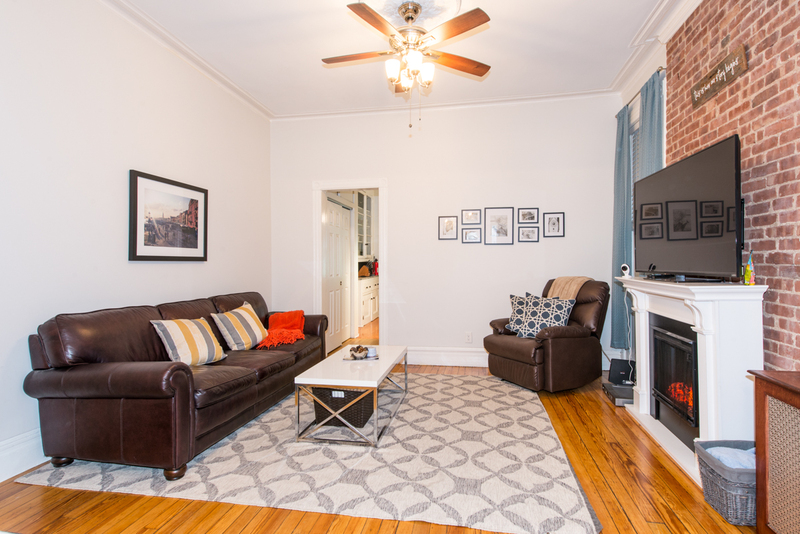 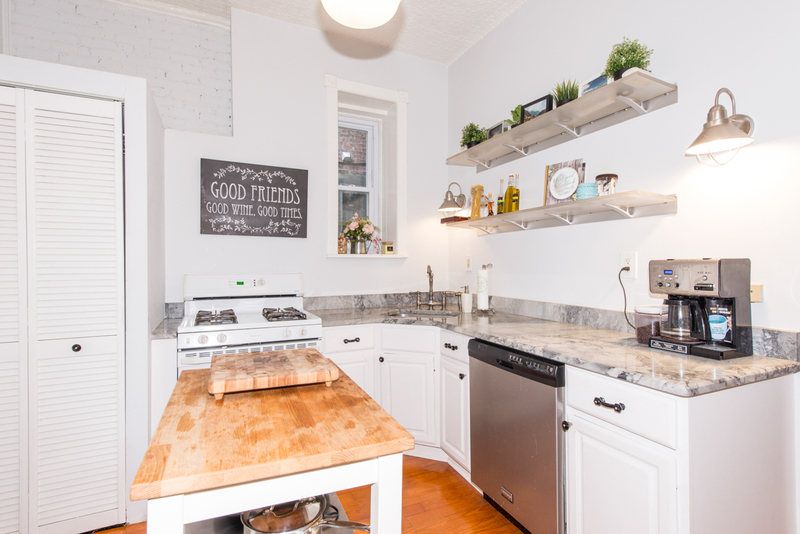 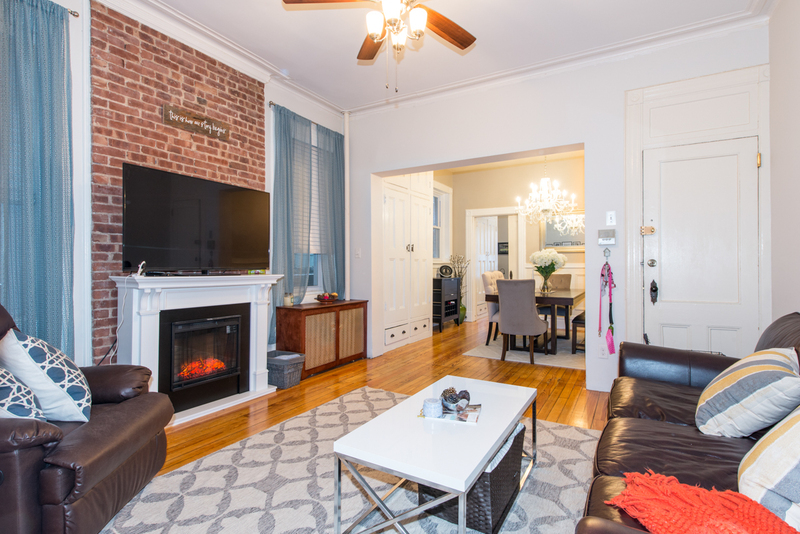 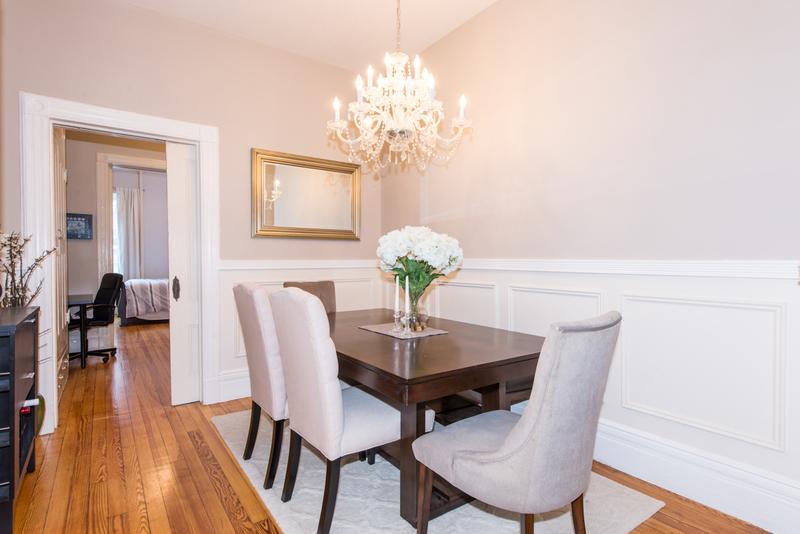 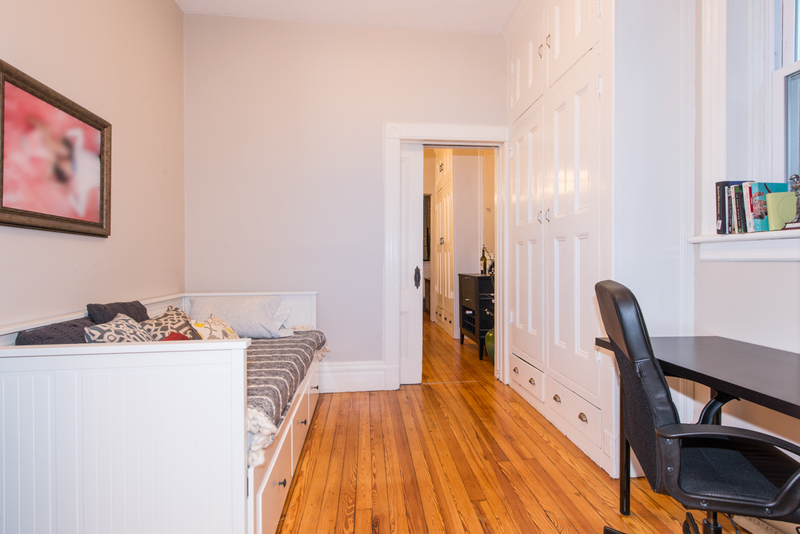 Historic brownstone details in this classic 2 bedroom/1 bath Hoboken condo. 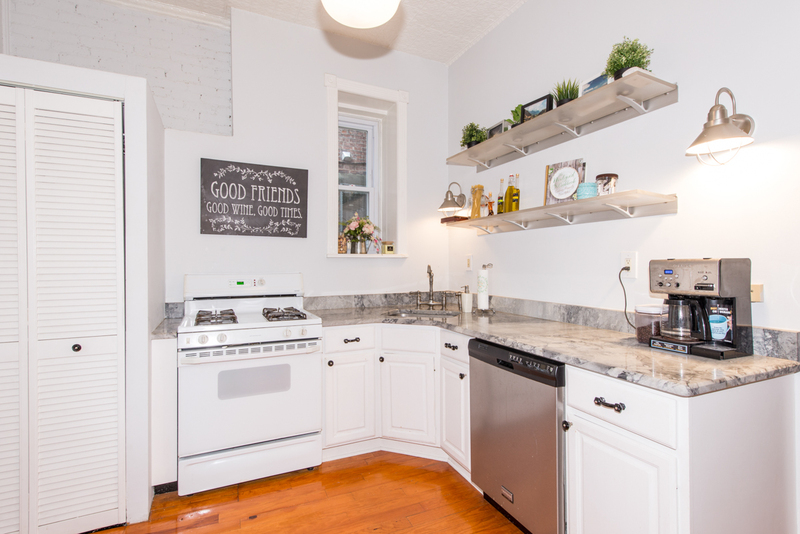 This bright parlour level unit includes a large eat-in country kitchen and modern subway tile bath.� Home features include windows on 3 sides, 2 sets of original etched glass pocket doors, exposed brick. 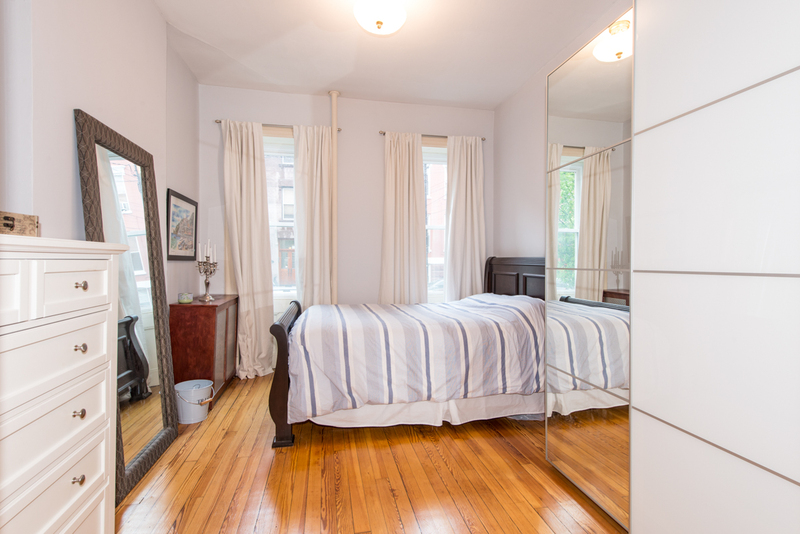 and hardwood floors throughout. 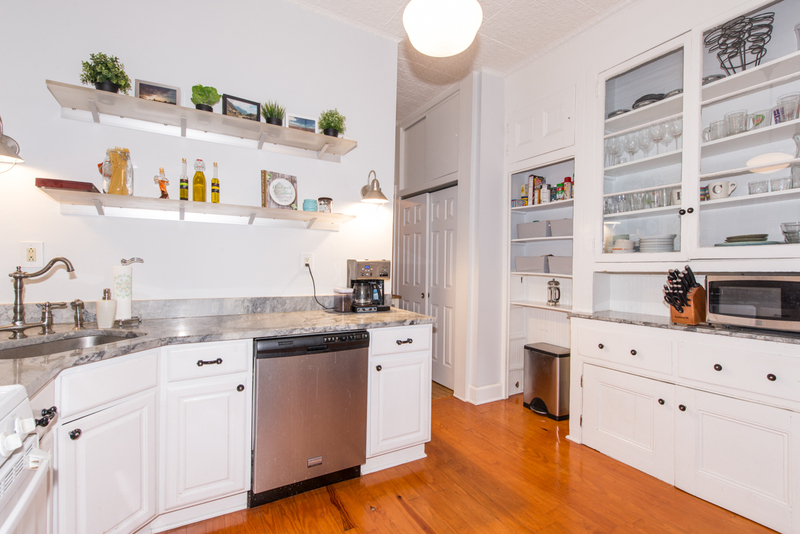 The sun-filled kitchen has plenty of cabinets, room for a table or prep island, and a butler�s pantry, which looks out onto the common garden. 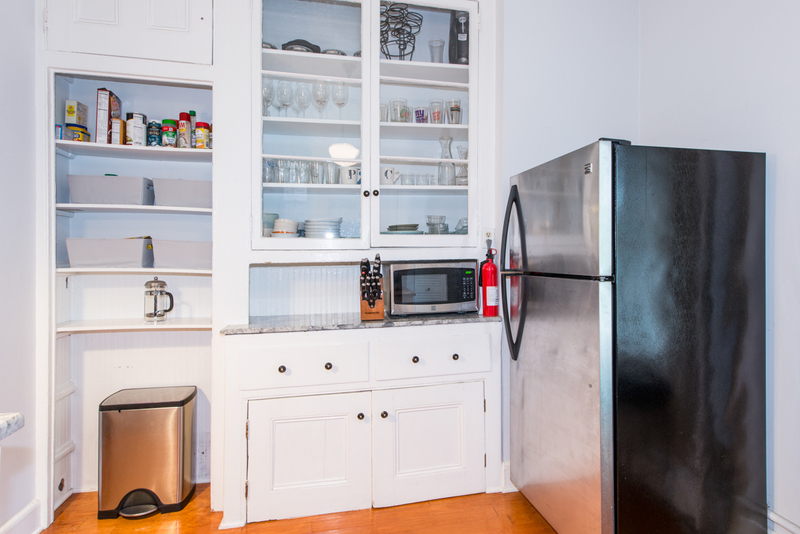 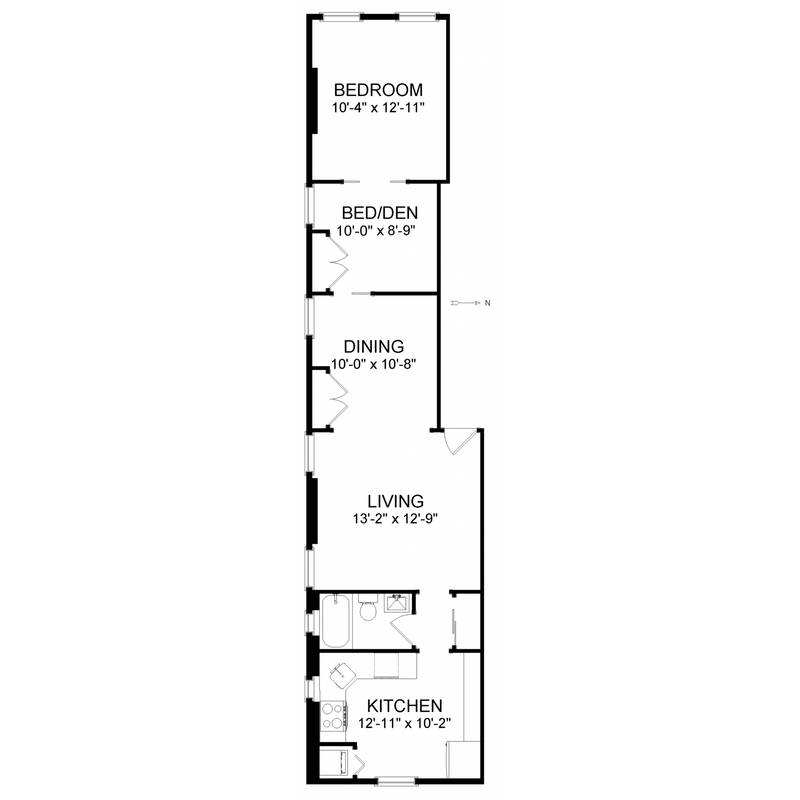 Washer/dryer in unit and extra basement storage for your convenience. 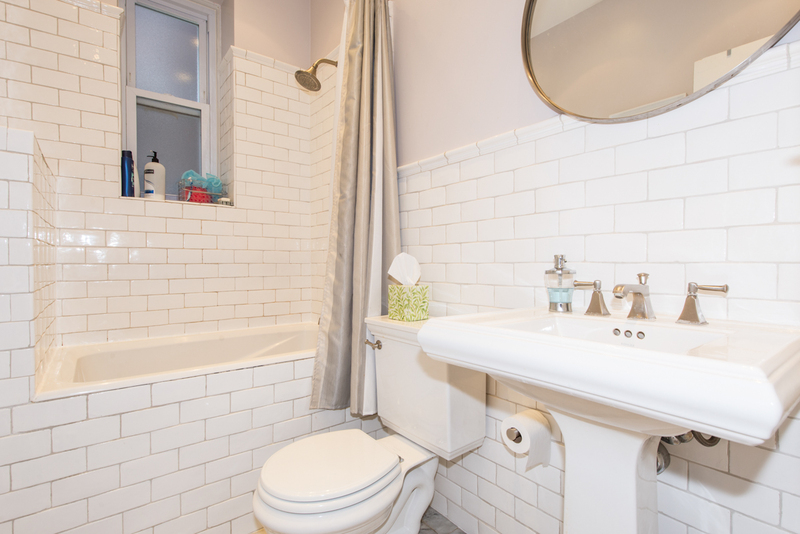 Low maintenance fee with heat and hot water included. 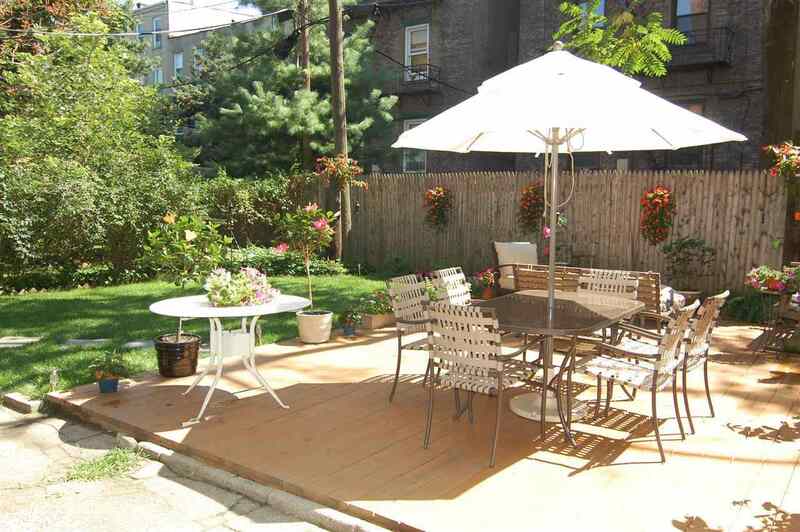 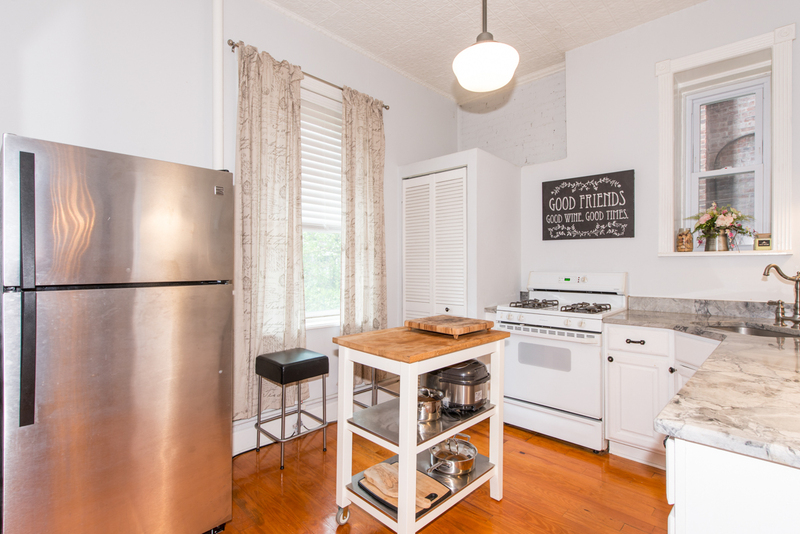 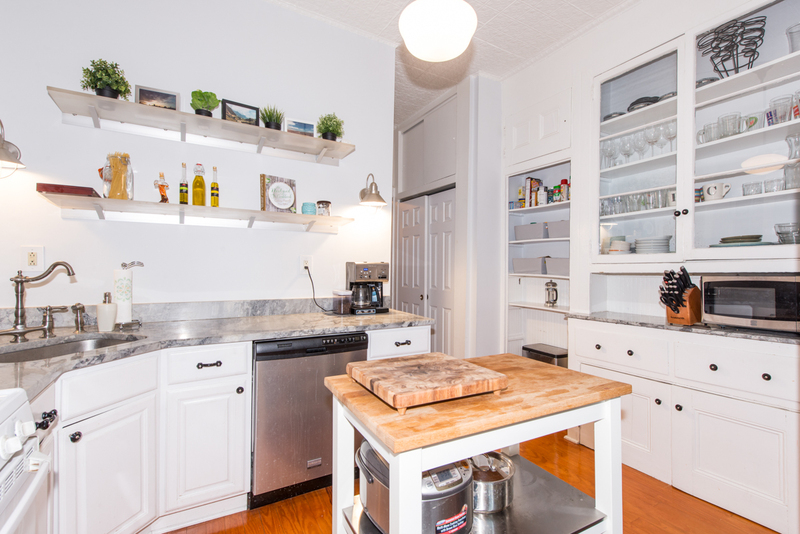 Located in a great uptown neighborhood with shopping, dining, and transportation nearby.